The week began with the smell of art supplies and coffee in the morning air, as well as feelings of excitement about the impending gallery tours. 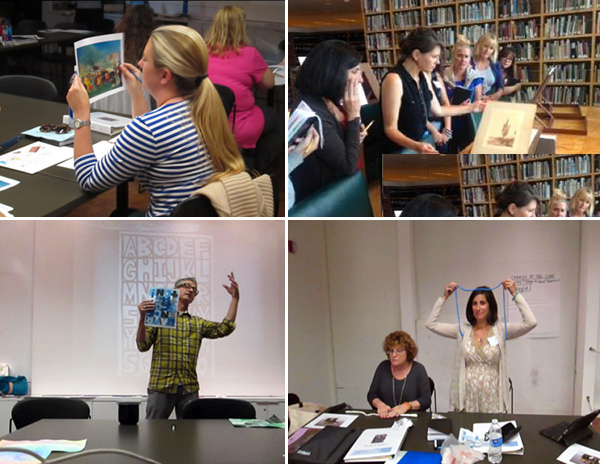 The Getty Museum’s “Creative at the Core: Art & Literacy across the K-5 Curriculum” is a five-day program for K–5 teachers to explore how to integrate visual arts into their teaching practices while creatively addressing Common Core literacy standards. 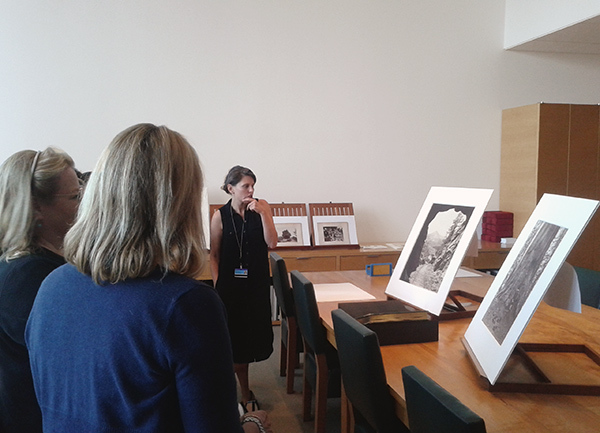 Teachers were invited to see, wonder, and think about how the Museum’s artworks can spark academic explorations for their students. As a Multicultural Undergraduate Intern this summer, I had the great privilege of helping the Museum educators with the planning and execution of Creative at the Core. To me, museums are most effective when they allow visitors to take what they need from the art without overwhelming people or imposing a scripted narrative. 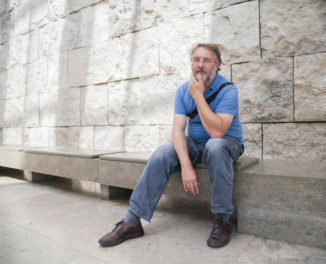 However, museums are often perceived as intimidating, which can scare away potential visitors. Creative at the Core helped alleviate this perception by demystifying the museum and providing classroom-friendly lessons. Hopefully, the teachers will relay their comfort and ease around art to their students. The final day of the program was dedicated to developing classroom lesson plans. Each grade cohort of teachers picked one artwork to inspire a lesson plan. 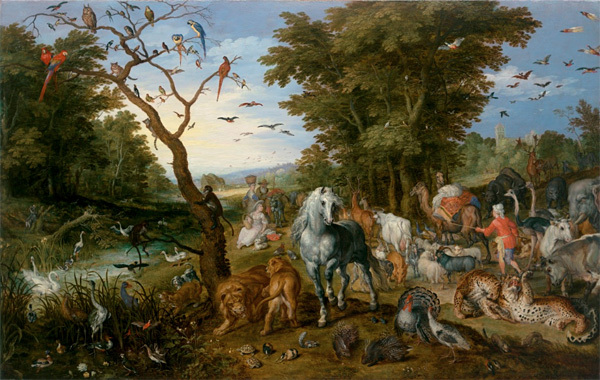 The K–2 teachers chose Jan Brueghel the Elder’s The Entry of the Animals into Noah’s Ark, a painting from 1613, and created a science-based lesson that involves connecting the various animals to their natural habitats. 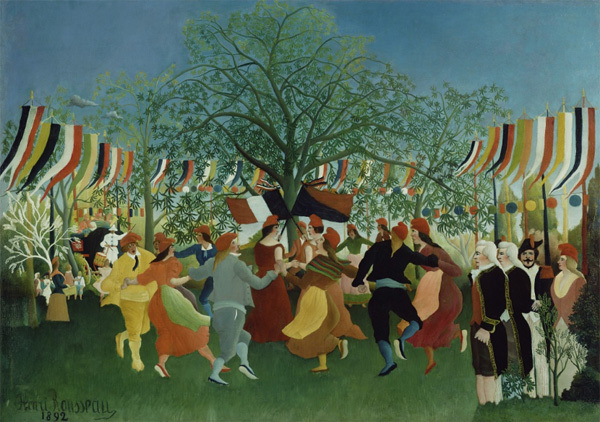 The grades 3–5 teachers used A Centennial of Independence (1892) by Henri Rousseau to teach lessons about patterns (take a look at those flags!) and angles (those tree branches!). Observing the enthusiasm and collaboration between the teachers and museum professionals reminded me of my favorite teachers growing up—particularly my fifth-grade teacher, Mrs. Gohr, who used art to activate her students’ curiosity about cultures around the world. She introduced our classroom to a new artist every month and inspired me to integrate art into my everyday life. 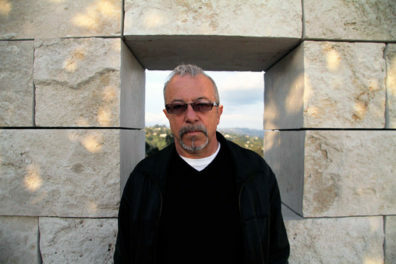 In this school year, I hope the Creative at the Core teachers are using their experience at the Getty to inspire their own classrooms, potentially igniting life-long connections to art and museums among a new generation of students. I was the 2015 Multicultural Undergraduate Intern in the Getty Museum’s Teacher Programs team. Awesome! Arts integration is such an important way to engage students, activate curiosity, and build a love of learning! Thanks for the great work! I love this article and overview of these workshops. Reminds me of the interdisciplinary approach being used in California’s History Blueprint project. Using art, artifacts, and literature to teach science, math, geography, and logic is, well, logical! I especially adore the comparison of a museum to a water fountain; that’s a soundbite to think about at future museum visits. Creative at the Core looks like it’s doing a great job of making museums and art more accessible and fun for educators and students! Thanks for sharing.